DISCREPANT CRITICISM. INTERVIEWS ON ART AND CURRENT THOUGHT (2000-2011) Spanish versión: Anna Maria Guasch, La crítica discrepante. Entrevistas sobre arte y pensamiento actual (2000-2011), Madrid, Ensayos de Arte Cátedra, 2012. 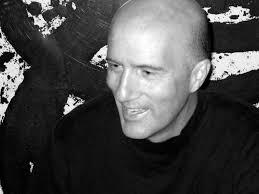 Covering Hal Foster’s (Seattle 1955) intellectual personality requires more than entering his complex, versatile and committed individual path as a thinker and a teacher. His story is also the story of a whole generation of young critics and art historians educated in North American university classrooms during the early 1960s (Foster studied at Princeton University in New Jersey and Columbia University in New York) who questioned the dominant formalist discourse and Greenberg’s “modernism” in the United States ¬–and outside the United States– for over more than three decades and who, straightforwardly criticising the notion of representation, created the postmodern discourse.